Back to work, sort of. It's been a while now since I first started this guide, and there hasn't been an update since. However today I bring you another level and the finalisation of the first. Also, I've updated the World Map a little with some info from that very level that I did. Nothing special, just the key and locked chest. I might at a future date add in the locations of all of the things you need to flame, however this is not decided yet. I've finally gotten a small bit of work done on this, with a couple of dragons from Spyro the Dragon in the guide now. 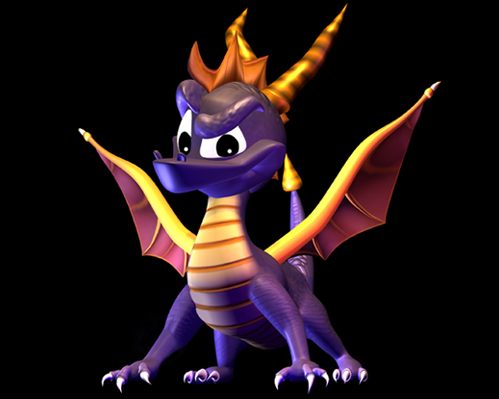 While you still won't be able to view the character guide until I've completed work on at least Spyro the Dragon's characters, I thought that I might remind you about it and the fact that I'm still 'working' on it. And as per usual, next week's update is sketchy. Whether or not I will have time to do anything is down to several factors. None I will mention here though. I'll just say that there is more of a chance of an update then there was a few weeks ago. I'm starting to get back into this business and I really want to get my Season of Flame guide finished before A Hero's Tail arrives in November (around a month and a half away!). Oh, and there's very little chance of a new Season of Ice map for a while either, it's just very boring making them. However I'm not abandoning the project altogether, just postponing it until around Christmas (however it is likely that I may not have much time then either, thereby postponing it until either Easter (once again very little chance of time) or the Summer (a lot higher chance of time)) so it will most likely be a long long wait for them. Sorry, but I really can't be bothered with them at the moment.